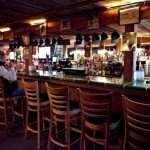 Enjoy breakfast or dinner at Brittany’s Mountainside Food & Spirits! Brittany’s serves *breakfast and dinner just steps from your guest room door (call us for seasonal restaurant hours). Enjoy our homemade favorites while overlooking the surrounding mountains from our patio or in our dining room looking over the pool. Downstairs, CJ’S Penalty Box (open every night) serves the full dinner menu, appetizers and sandwiches in a truly exciting sports bar atmosphere. Don’t miss Taco Tuesday, Winging it Wednesday and a whole line up of fun special nights at CJ’s, the area’s “only” sports bar! Where we will keep you up to date with posts on our specials and entertainment schedule.